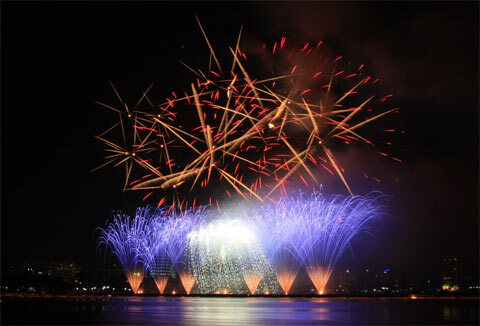 The central city of Da Nang will host the Da Nang International Fireworks Competition (DIFC) on April 29-30 this year, the municipal People’s Committee announced at a press conference on March 26. The annual competition, the sixth of its kind, with the theme “Love for Han River”, will bring together teams fromRussia, Italy, Japan, the US, and hostDa Nang. Tourists will have an excellent opportunity to admire the brilliant performances and partake in a wide range of activities, to name a few, cuisine festival, flower boats parade, music performances, fashion shows, traditional games, and the Non Nuoc Marble statue exhibition.